Giardiasis is an intestinal infection caused by the giardia parasite. It is an infection that is seen worldwide and affects domestic and wild mammals, many birds and is the most common intestinal parasite found in humans. What are the causes of giardia? An animal can only become infected by ingesting (swallowing) the parasite. Infection cannot occur through contact with blood. What are the risk factors of giardia? Animals pick up the giardia parasite from surfaces, soil or water contaminated by infected faecal matter. Animals living in shared spaces, such as kennels, are highly likely to become infected. Licking its fur after laying or rolling on a contaminated surface or soil can easily infect an animal. The parasite prefers a cool moist environment making contaminated water a common cause of transmission. In most cases the prognosis is good, but animals with poor immune systems, due to an existing illness, are at greater risk of complications. Giardia can potentially be passed from animals to humans, although the risk is small. If your pet is diagnosed with giardiasis, good personal hygiene is important together with regular cleaning and disinfecting of surfaces and items your pet has access to. People with immunodeficiency, such as AIDS or who are undergoing chemotherapy, should take extreme care when handling faeces or giving medication. 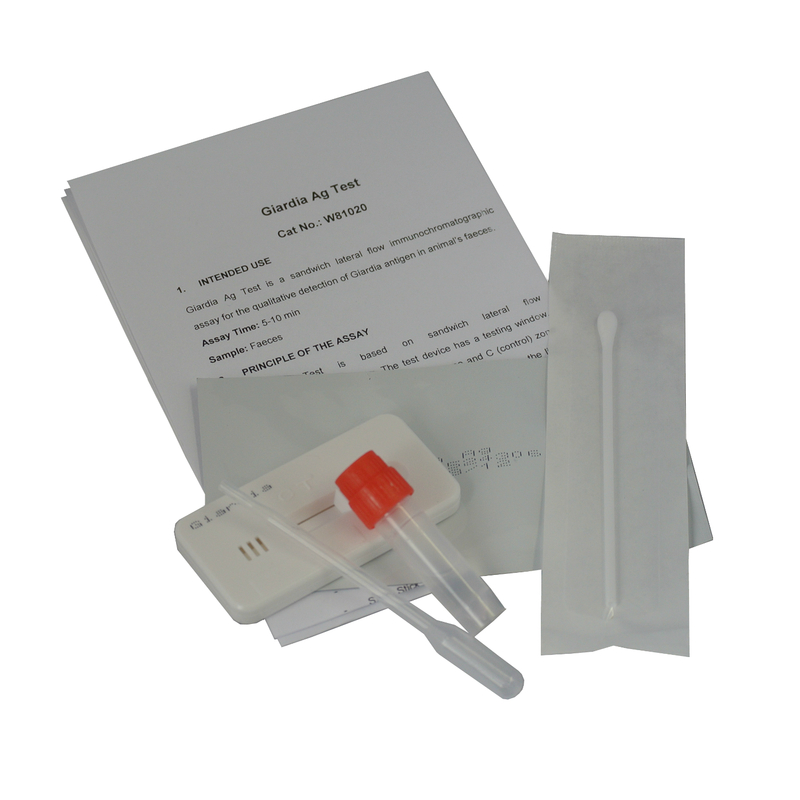 Your vet will want to examine your pet and rule out any other possible infection or bowel disease and will take a faecal sample to test for the presence of the giardia parasite. What treatment can be giardia? Treatment is likely to be given as an outpatient unless your pet has become weak and dehydrated. Medication will be prescribed together with bathing, to remove the parasite from the animal’s body and reduce the chance of reinfection. Up to 4 weeks after completing treatment a repeat faecal test is necessary to confirm your pet is clear of the parasite. Regularly clean and disinfect areas your pet has access to as well as toys, bedding, and food and water bowls with a bleach solution (1 part bleach, 32 parts water). Where possible, limit your pets access to untreated surface water such as creeks, ponds and lakes, and communal areas, such as kennels. If you need to place your pet in boarding kennels, use somewhere reputable with a good hygiene policy that has individual kennels. If a pet is diagnosed with giardia and you have other household pets that may have also come into contact with contaminated matter, get them tested too, even if they are not showing signs of infection.